Mary Doggett, Book of Receipts, British Library MS Add 27466, f. 24r. Swift also, however, refers to another canine usage: gloves made from dog’s hide. 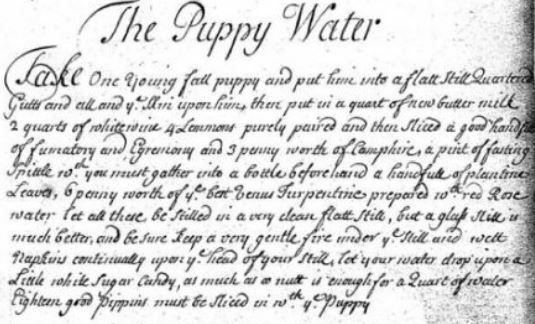 As noted in Nicholas Culpeper’s Pharmacopoeia Londinensis (1718), “little puppy dogs” (and various other animals, such as hedge-hogs, snails, foxes, moles, frogs, or earthworms) “may be made beneficial to your sick bodies”. Robert James’s entry for “Canis” in his Medicinal Dictionary (1743-5) explained that Europeans “generally abstain from Dogs Flesh, till Necessity… obliges them to use it.” But use it they did: the flesh, fat, skin and excrement could all be incorporated into medicines recommended even by renowned medical practitioners. 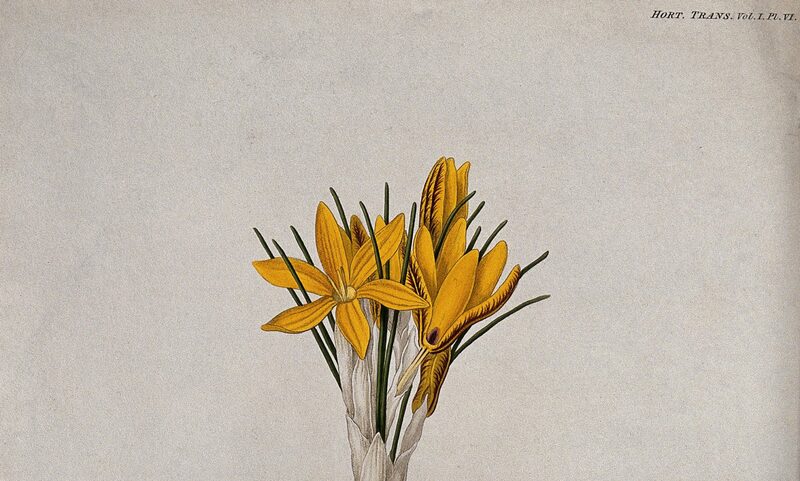 These remedies ranged from the foul: Culpeper’s Oleum Catellorum (Oil of Whelps) “to bath the Limbs and Muscles that have been weakened by wounds or bruises” or George Bate’s gargle for mouth ulcers and thrush that included a white dog turd (Pharmacopoeia Bateana, 1706). To the cruel: Philip Woodman suggested cutting a live puppy lengthwise through the middle and applying it hot to the head to treat a frenzy (Medicus Novissimus, 1712). To the comforting: for iliac passion (intestinal obstruction), Thomas Sydenham instructed that a live puppy should be laid to the patient’s naked belly for two or three days (Praxis Medica, 1707). Nursing dog. 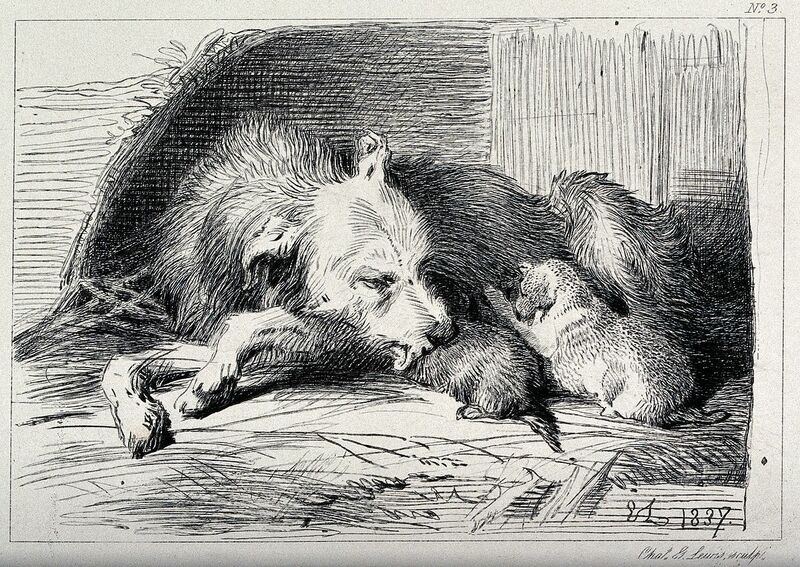 Etching by C. Lewis after E. H. Landseer. Credit: Wellcome Library, London. James’ dictionary entry explained the rationale for these treatments. For example, keeping a warm puppy next to one’s colicky belly or gouty leg provided “kindly and cherishing Heat”, but it also worked sympathetically by transferring the disease into the animal instead. Having a dog lick one’s wounds and ulcers could cure them more quickly. The fat of the dog was thought to be better externally than any other animal fat, owing to its penetrating quality, and the drippings could be eaten to treat lung problems or epilepsy. Turned into gloves, the skin of the dog would reflect summer sun; as a piece of leather, it could protect gouty or arthritic legs from cold. Dog dung, being hot and acrid, might treat internal bleeding or toothache. James did not mention “The Puppy Water” itself. However, for that we might look to the ancient Greeks whom he did discuss. According to Hippocrates, “the Flesh of Dogs is of a heating, drying, and corroborating Nature… whereas that of whelps is of a moistening, lubricating Quality.” The other ingredients in the recipe point to a similar use as the puppy: pippins were moistening and good against inflammation; fumitory and agrimony treated diseases of Saturn (such as old age) and were strengthening and cleansing; plantain firmed the sinews and helped skin problems. Just the thing for a face wash! The evidence for this is dubious. James recounted the case of a patient in 1742 being salivated (by mercury). When a visitor arrived, the patient put aside his basin filled with his saliva, which his dog proceeded to drink. Within ten hours, the dog suffered from convulsions and died. This post first appeared at the now-defunct, but much missed, Wonders and Marvels blog in May 2012.